UB Content Slider Extension is among our earliest native extension for Magento 2 platform. 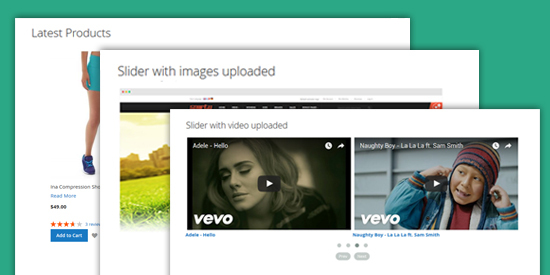 Creating and managing image slider, product or video uploaded is now simpler than ever. 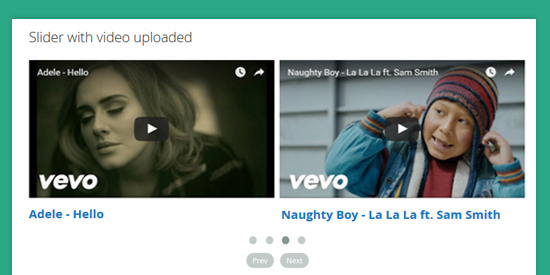 Not only a compelling way to showcase the latest or hot product images, it allows to feature amazing uploaded videos. Multiple sliders per page, multiple stores support. Our Magento 2 Content Slider allows you to create visual impacts to your product showcase in a simple way. Latest items, random products, banners or lively videos etc., are rendered into multiple sliders in any predefined place. The extensions allows you to add an unlimited number of sliders, whether a powerful image or video slideshow to any position on your Magento store, with ease. Allows to add sliders anywhere using widget module manager. You can add a widget to a CMS page or static block too and no longer have to deal with the block shortcodes to insert the blocks. Pushing your products into front of stores are of great importance for on-site promotion. Feature your New & Hot collection, Latest items, Banner slider or simple a random product list etc., just a few clicks away. When it comes to each specific slider, you might wish to flexibly configure unique number of items to be shown in such slider, this configuration together with other settings are in place to create your own. The extension allows you to fully control configurations from animation effect, store view or time duration etc., via your backend. You can define slider elements flexibly to grab visitors’ attention your way. I am satisfied in a way that it works relatively fine. There are few things which could be better though. The thing is the usage of images for dots and arrows. I switched those to icons from Material Design which essentialy allows me to use any color we like, nice css3 effects on the elements and higher quality on higher resolutions. Last thing I thought about is the usage of Slick slider. I looked at Slick, mainly because it is responsive and it offers an easy way to do thumbnail navigation of slides. There are some problems with flex though. If you are interested, let me know and I will offer more information. It’s extremely easy to use and customize. I added css options, fonts, colors to the admin area of the slides so you can have different headers, body text, position them top, left, right, or bottom etc etc. 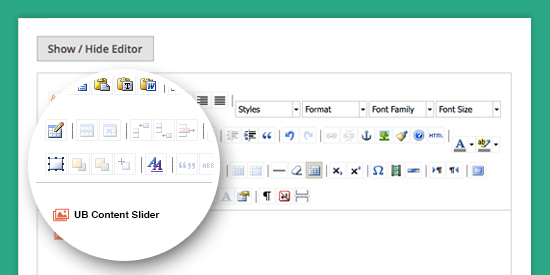 The point is, the content slider is easy to use and customize with little coding knowledge. In love with UB Content Slider? 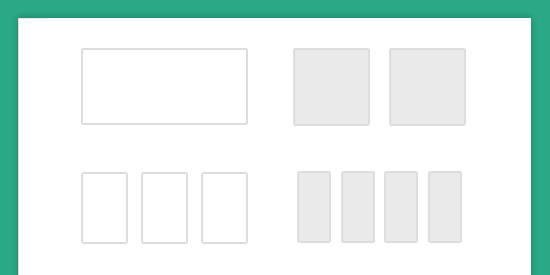 UB Content Slider is packed in the following Magento themes. 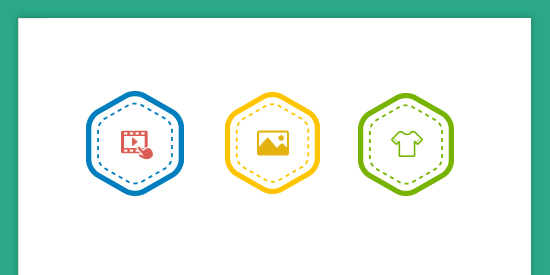 FREE signup to access premium Magento themes with UB Content Slider packed-in.